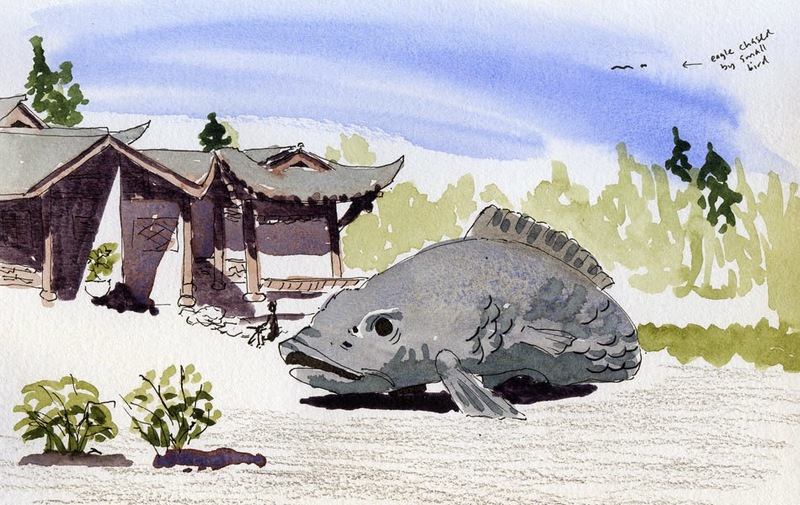 The Seattle Chinese Garden in West Seattle was, indeed, an apt location for our opening day – a gem of serene, open landscaping with a traditional Chinese courtyard and pavilion at its center. (Thanks to Logan Bingle for the intro information about the garden!) I wandered around for quite a while trying to focus on a composition I could manage. With all the lovely plantings and peonies in bloom (though past their prime now), we had a lot to choose from, and I knew I had to select carefully or I’d end up overwhelmed. 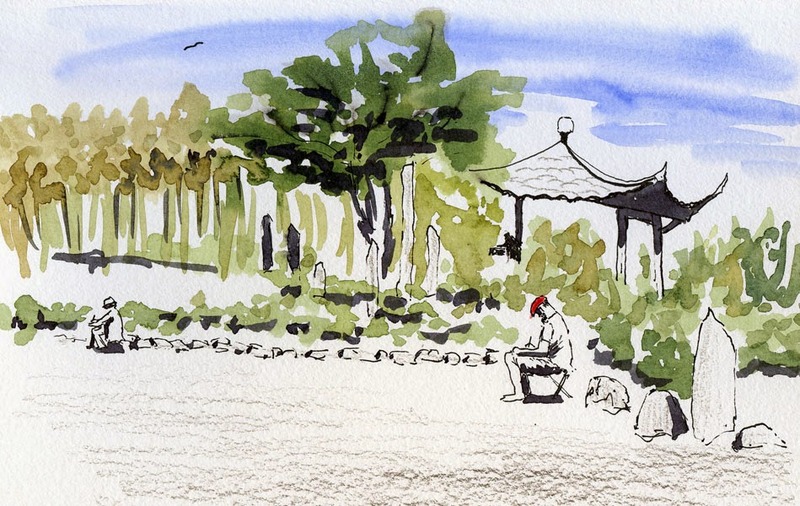 After enjoying the garden a bit more, I settled on a wider view of the stones, trees and bamboo plantings (as well as Pat sketching in the foreground) surrounding a smaller pavilion. 4/19/15 Sketchers in the garden.